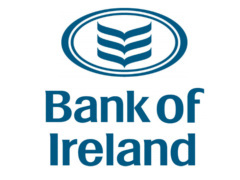 Thousands of homeowners are set to be hit with higher mortgage repayments each month after Bank of Ireland and its subsidiary ICS announced it was raising its standard variable and loan-to-value rates by 0.5% from October onwards. The increase will see those with €300,000 mortgages repaying €1,000 extra a year. The 0.5% increase will be imposed on existing residential and buy-to-let customers as well as residential and investor borrowers taking out new mortgages. An estimated 60,000 people will be impacted by the increase.